Eric M Kagel, MD is a Board Certified Orthopedic Surgeon with subspecialty fellowship training in hand and upper extremity surgery. Dr. Kagel has board certification in general orthopedics as well as a certificate of added qualification (CAQ) for Surgery of the Hand. 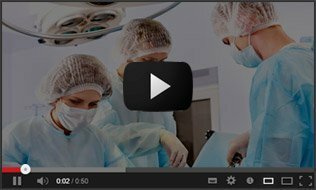 The practice is focused on extremity surgery including shoulder, elbow, wrist and digits as well as lower extremity conditions including hip fractures, cartilage and ligamentous injuries of the knee, and orthopedic trauma. These conditions include neurologic conditions, congenital deformity, tumorous conditions, and infections of the bone and joint. 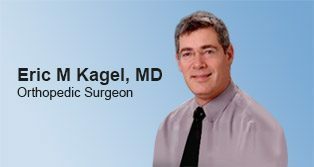 Dr. Kagel received his undergraduate degree at the University of California, Berkeley and his M.D. from the University of Tel Aviv in 1991. He went on to become a resident at Maimonides Medical Center in Brooklyn, New York. Dr. Kagel has the distinction of having worked as an orthopedic research fellow at Mount Sinai Medical Center 1993 through 1994 under the direction of Thomas A. Einhorn M.D (currently chairman of the department of orthopedic surgery at Boston University). Dr. Kagel completed his hand fellowship under the direction of Ghazi M.Rayan, MD an internationally published expert in the field of hand surgery. Dr. Kagel’s practice includes running his private clinic, participating in the orthopedic trauma panel at both Good Samaritan Hospital San Jose and El Camino Hospital of Los Gatos. His interest include arthroscopic surgery, sports injuries, traumatic injuries, upper extremity reconstruction as well as joint replacement surgeries. An additional element of his practice also focuses on pediatric injuries of the upper extremity.